Tourists enjoy water sport activities at the Naviti Resort. The Naviti Resort, a member of Warwick International Hotels, became the recipient of the Department of Energy’s ‘Energy Efficiency Private Sector Outstanding Award’ for 2014. This was the second consecutive year that the resort had won this award. By entering this competition, Naviti Resort was required to submit comprehensive initiative’s and processes that had been adopted in order to save electricity consumption. This in turn was measured against prior year’s consumption. Objectives, Analysis, Management Plans and Monitoring Mechanisms were some of the strict criteria outlined and submitted by the resort. It was also submitted with special importance given to the contribution of all of Naviti Resort team members. Naviti Resort chief engineer, Heng Sing Key, said the award would not have been able to have been achieved without the tremendous contribution from these staff. “The energy saving initiatives had certainly increased the teamwork amongst all staff in order to achieve a common goal,” Mr Key said. 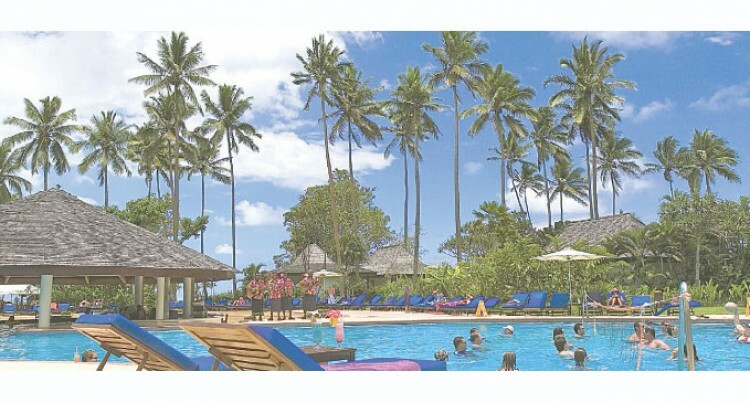 It is envisaged that all Warwick International Hotels in Fiji will benefit from the Energy Management Plan that had been implemented and was obviously successful. Mr Key added it was especially pleasing given that the resorts occupancy had increased over the last 6 months, yet the energy costs are lower compared to the previous year. Mr Key was presented with the award at the Department of Energy’s 19th National Convention on Quality held at the Fiji National University this week.